Hi, Kate! Thanks for your support, dear! Happy Sunday! Hi Kate! 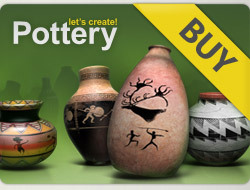 I viewed 23 ore of your past fabulous pots! 23 x 5*****! Thank you so much for allowing me to get this POD. I truly appreciate you taking the time to vote for my pot. Thank you, thank you! ❤️❤️❤️Kate!!!!!!!! Hi Kate . Checking for new pots. Have a wonderful day. Hi Kate! I viewed 33 of your past gorgeous pots! 33 x 5*****! I will visit again to see many more!